The Barcelona Institute of Science and Technology (BIST) is teaming up with the Fundació Catalana per a la Recerca i la Innovació (FCRi) to organize “100tífiques”, anoutreach event that will send over 100 women scientists to schools all over Catalonia. The 100tífiques event will send over one hundred women scientists (Master’s, PhD Students, Postdoctoral Researchers and Group Leaders, scientific staff) to present talks at schools all over Catalonia on February 11th, 2019 at 11am, the International Day of Women and Girls in Science. 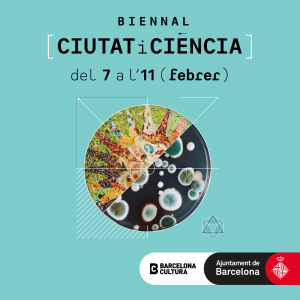 The event will take place during the Barcelona City Science Biennial of which Nuria Montserrat (Group Leader at IBEC, a BIST centre) is commissioner. The talks will be aimed at an audience aged 11-12 years old and will be available via streaming to anyone interested. About 20,000 young people are expected to be reached through these talks. In addition to the 100tífiques event, BIST will hold a warm-up session on the afternoon of February 7th, 2019 for all speakers. The event will include networking among volunteer women scientists and technologists, guest speakers, and helpful information for preparing the talks.